Gi Gi is a great producer. She birthed her first cria, Betsy, without assistance and produced copious amounts of milk for her cria. Her colorful, diverse genetics, flowing fleece and excellent mothering skills make her a great addition to any breeding program. Her second cria, Red Hot Chili Pepper, was born November 2006. This guy has gorgeous maroon fleece, similar in color to his sire, Red Eminence. Gi Gi gave birth on May 29, 2008 to a beautiful female cria out of ARSA Macgyver's Daedalus. This is one gorgeous girl that has wonderful fine fleece and great lock structure!! Go Go Girl produces outstanding cria! What a Great Deal! Go Go Girl is on consignment. Honeysuckle is a beautiful female with nice fiber. As a cria it was really shined and is very soft. She is out of ARSA MacGyver's Daedalus. 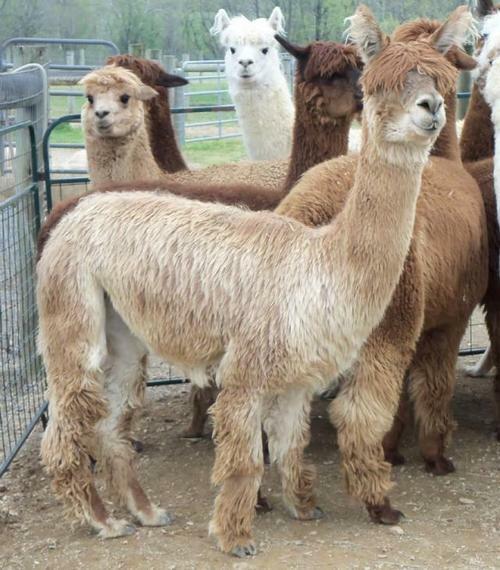 This is a real deal for such a great looking suri alpaca. 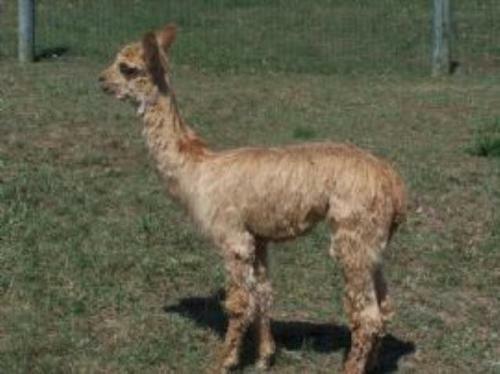 Honeysuckle was bred to Lightning for her cria. Both Honeysuckle and Ligntning have the most beautiful golden, shiney fleece. Honeysuckle's 2011 cria was a beautiful, golden female, Summer Breez. She is very friendly and loved greeting vistors at the farm - she is sold. Honeysuckle had a handsome little boy weighing in at 19.8 lb on July 2, 2014. 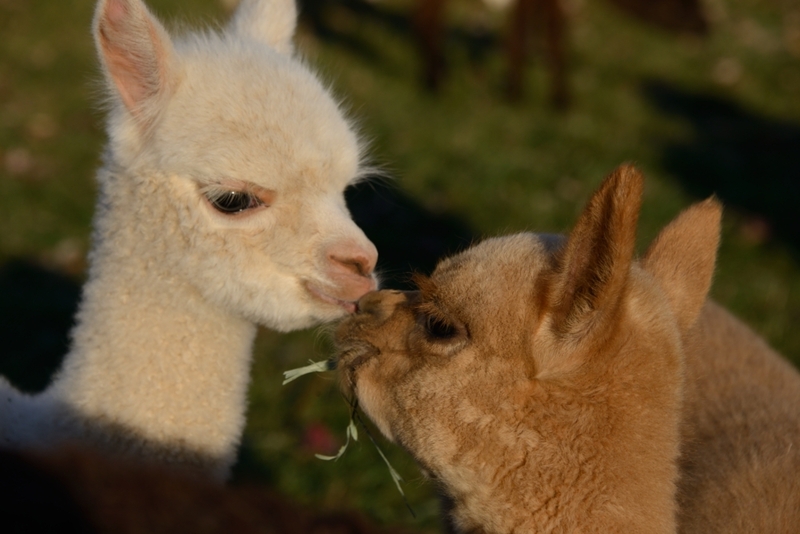 Lochte is an active little guy, always running and playing with the other cria.